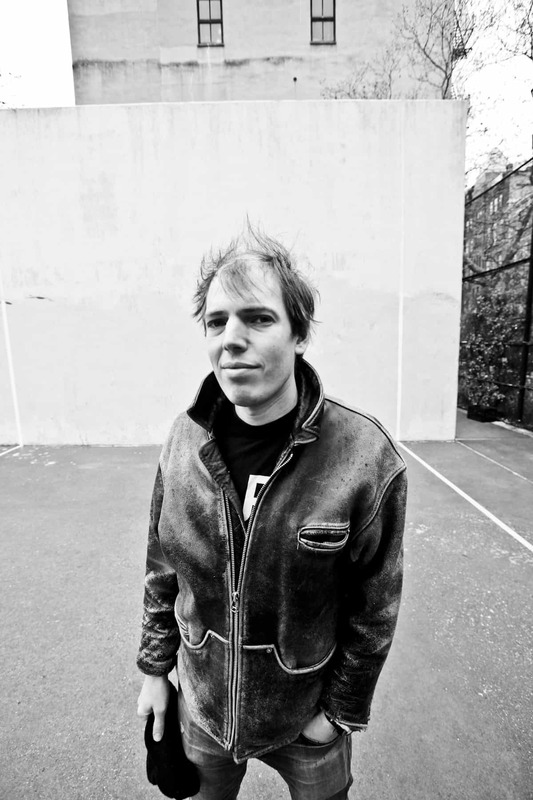 Jeffrey Lewis has got be, hands down, one of the most prolific artists of the last 15 years. His output, which includes not only music but comic books as well, is staggering. On top of all that, his tour schedule is insane. This current leg of the tour has him playing 23 gigs in 22 days! Last year in front of a packed house, with his band the Jrams, Lewis tore the roof off of the Kantine am Berghain. This time around, Lewis will be performing a solo acoustic gig that you do not want to miss. Last time you were in Berlin the Jrams played the Kantine am Berghain. That was a real solid show. Any memories from that one? Berlin is the last stop on this jam-packed leg of the European tour. Any highlights from the past month? I’ve got a new bass player, she’s 20 years old and she’s only been with us about a month, she’s so great, I’ve been teaching her more and more songs all the time, so we’ve been playing some songs that I haven’t done live in years and it’s been great to return to them. We had some great sets on this tour, the show in Brussels was really good, with special guest Arrington DiDyoniso from Old Time Relijin joining us onstage for a few songs, he happened to be in Brussels the day we were playing. The show on Friday you will be playing solo acoustic. Will it be different set from what you have been playing with the Jrams on this tour? Definitely a very different sort of thing for me. I never have a set to tour with, every night we just play whatever songs seem right to play, I try to be like the bands that I love, Yo La Tengo and the Grateful Dead, each night a different batch of songs. But when I’m playing solo there are some songs that I can’t do, and of course the whole feeling of a solo show is different from the feeling of a band show, so my choices about what to play are pretty different. Still, I don’t really know until I’m on stage, and I don’t know how bands can possibly have a single solid set that they play every night of a tour, every location is so different, every sound system is different, every audience is different, and also I’ve been doing this for about 15 years and I have a lot of songs, so I think the best thing is to be flexible and do what seems right. The set each night is like making a mix tape for that particular audience. If your friend made you a mix tape, but you found out that this exact same mix tape was the same one that they made for everybody they gave a mix to, you’d feel less special… a show seems the same way to me. I’m working on the art for my new album, I think it’s coming out really great, the music and the art, I hope it’ll come out in October. That’s my major plan for the year – get the new album out and do more touring, and hopefully maybe make more comic books. Previous ArticleBerlin Food Art Week – Where to Eat!